Water-related risk to growth. When economic activities do not harness water’s productive potential, and do not protect against water’s destructive impacts, water can challenge growth and act as a drag on the economy. A fragile environment. Land degradation in Ethiopia poses risks to agricultural productivity and growth, and infrastructure development. Sustaining human development. 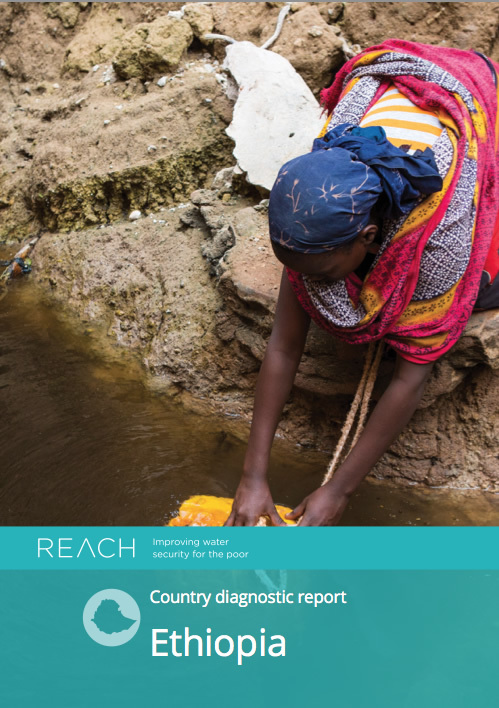 Rapid progress has been made in access to Water, Sanitation and Hygiene (WASH), but inequalities persist, creating risks to those most vulnerable to poverty. There is a need for more research into small towns provision to prevent inequalities in water access, and promote sustainable human development. Three Water Security Observatories are proposed for the REACH programme: ‘small towns’, ‘fragile environments’ and ‘sustaining growth’.